I have been skeptical about the majority of the lists that offered alternatives to the benchmark game Monument Valley. Until recently. Quite a few impressive mobile games have launched this year, and joined the legendary ustwo game on the pantheon of my favorite gorgeous and artsy brain teasers. 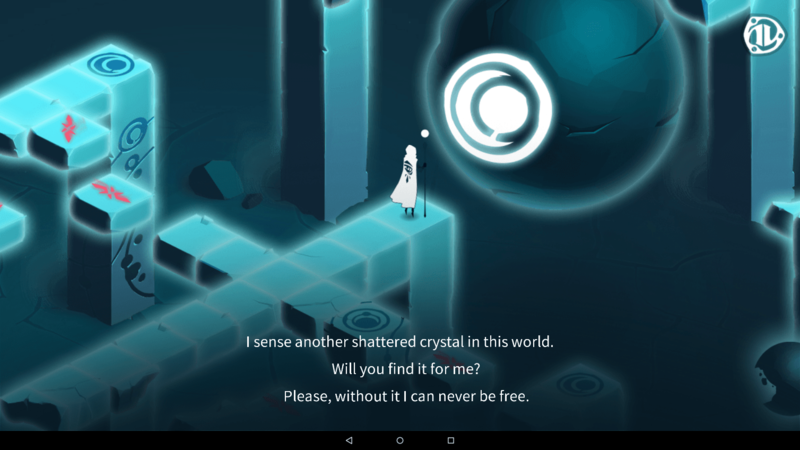 Without further ado, check out the following games if you are looking for something like Monument Valley to boost your gray cells. An artsy masterpiece, this game is based on Mozart’s opera Magic Flute as seen by the Japanese artist Amon Miyamoto. It’s beautiful in its low-poly visuals and unsurpassed in the sound, which is the original score of the classical opera. It also has a wonderful story with the characters to empathize with, and they’re nothing abstract. However, its major draw is the block sliding puzzles that will make you tear your hair out. Set in a cube, the puzzle consists of a series of blocks and tiles that can be moved around, but are limited by the confines of their trajectories and the non-movable blocks and tiles. Your aim is to get one, two or three main characters from the entrance to the exit. The faster you solve a puzzle, the higher is your score. At the end of each level, the game evaluates your wits and rates you 1 to 3 flute holes. Each ten or so levels get unlocked when you earn enough holes. One tricky part is the location of the movable elements is generated randomly with each retry, which adds a mind-boggling twist to the gameplay. 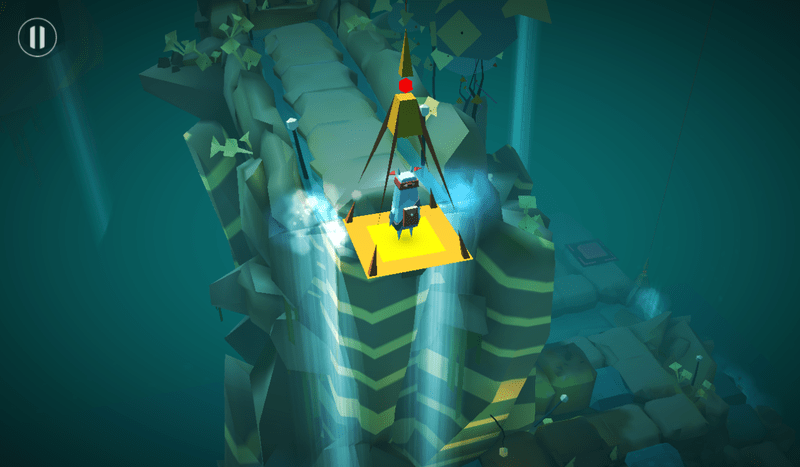 The game currently offers 34 levels, and it Act One only. Act Two is on the way. This game resembles Monument Valley more than most of the games on the list. It has a fantasy story, and a mysterious faceless protagonist on his or her way to save a mysterious lady. To do so, he is given a magic scepter that helps him jump from one dimension to another. Any changes you make in one dimension affect the other dimension. The puzzles are block sliding maps that require you to walk from one element to another, activating the portals, rotating totems, switching on the energy to the spheres and planets and suns, and do all sorts of tricky impossible geometry and optical illusion kind of manipulations. 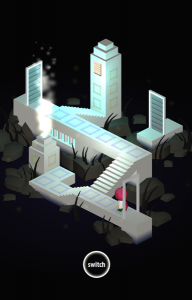 The puzzles are on the difficult side of the spectrum; it’s definitely more challenging than the Monument Valley. It’s also visually spectacular, and probably one of the best looking mobile games this year. Square Enix did something truly impressive with this game, and managed to convert a Lara Croft premise into a block-sliding puzzle-adventure. 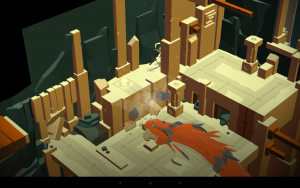 Of course, Lara Croft Go is more than just a block-sliding puzzle. It’s also a turn-based tactical RPG, with minor character customization in the form of the outfits you can unlock or buy via the IAPs. It looks as if it can’t look any better with its soft pastel colors, detailed characters, spectacular animations and the atmospheric sound score. But most importantly, its puzzles are hard, yet accessible, which makes it even more addicting. You never feel like the developer makes you look stupid in your own eyes, and each solution is elegant when you find it. As usual, collecting artifacts and escaping nasty beasts is there, and it’s surprisingly dynamic for a turn-based puzzler. 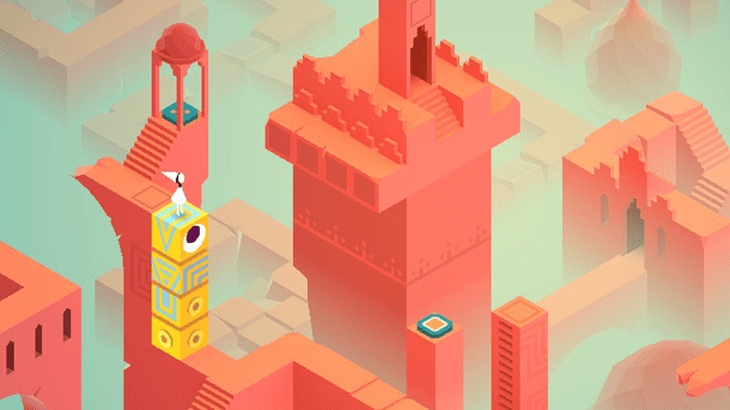 It has the atmosphere, the knockout looks and the ingenious brain teasers, and it also provides that Monument Valley gameplay – relaxed, yet intense. If you prefer a gunman style Monument Valley, Hitman Go is right up your alley. A winner of multiple awards, Back to Bed has been around for a while, and in my humble opinion it’s been largely underestimated or overlooked by the users. 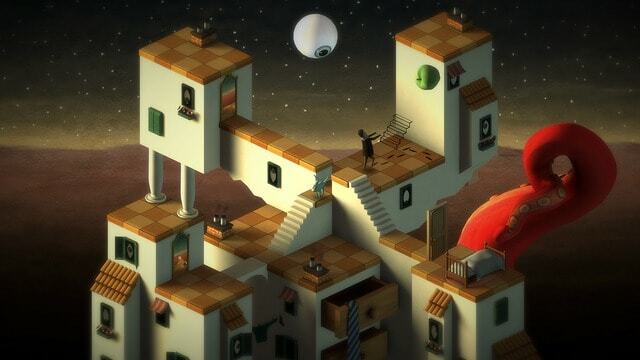 An impossible geometry and optic illusion based 3D puzzler, Back to Bed is a visual masterpiece that manages to combine Esher and Dali in an elegant, surreal game that tricks your eyes and brain. Guide a sleep walker Bob through a beautiful world of his dreams back to his bed. A twist to the gameplay is introduced in the form of Subob, a subconscious guardian of the sleepwalker. Rotate, activate, trigger, walk and complete the surreal, illogical, surprising and intense challenges. 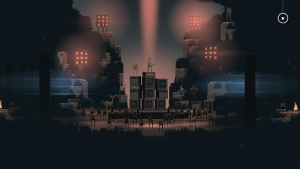 The game is atmospheric and delightfully combines the scary and the sleepy comforting. Even though Silent Age by House on Fire is not an isometric puzzle of the impossible geometry, it is still in the Monument Valley league. By far, one of the most memorable stories, Silent Age has you playing as a lone protagonist who has to save the world from the upcoming apocalypse that is scheduled to happen some 50 years from his time, which is the 70’s. By chance, he comes by a time traveling device, and has to solve a series of logically aligned puzzles to try and prevent the disaster by jumping to and from the future and his own era. 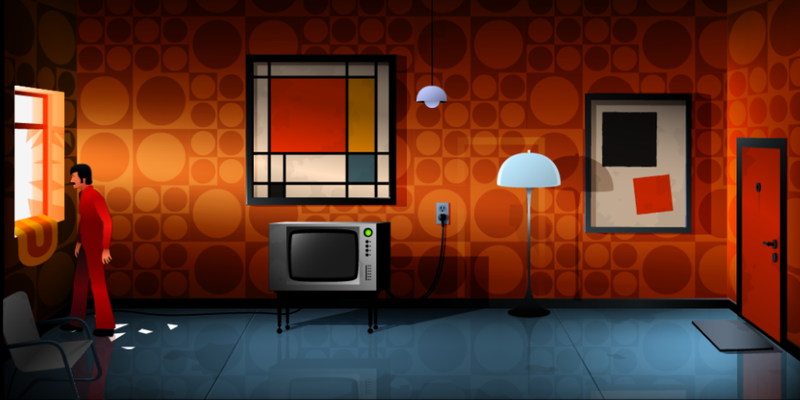 A stylish and gorgeous eye candy, Silent Age has that vintage feel to it, a gruesome and desperate atmosphere, and smart puzzles. This is probably the one game that has the story central to the gameplay, although the puzzles are the main mechanic that lets you advance. Nonetheless, story-wise, it’s my favorite game on the list. There is a slew of games that bear the resemblance to Monument Valley in one way or another. These games either have the atmosphere, or the mechanics, the gameplay, or graphical style, or the similar take on the puzzlers and adventures. So, if the above five games are not enough to satiate your curiosity, explore some more alternatives. 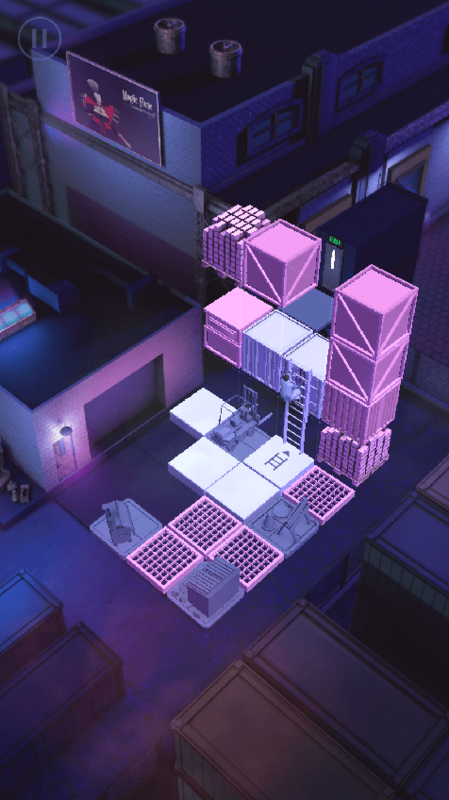 A game that derives its inspiration directly from MV, Outside World takes you to the world of your dreams, where a girl is trapped in a series of puzzle structures. She has a little helper, a ghost girl you can switch to and from to help her solve the puzzles. The game is quite a solid and fun puzzler for all ages because the initial set is accessible. The visuals are fairly beautiful, and there is some good fun to be had here. 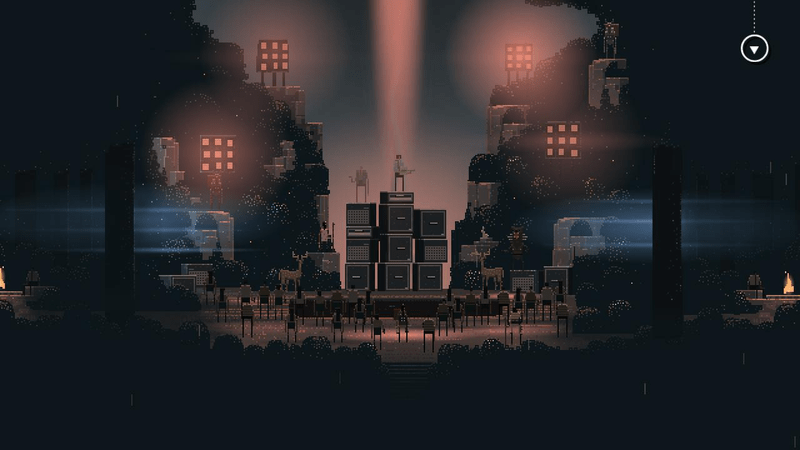 One of my favorite games on the list, Lost Sounds: Adventures of Poco Eco is an audio-visual fest, and in addition to your game purchase you get the awesome soundtrack by IamYank for free. Poco Eco is a groovy dude, half squirrel – half fox, who is traveling through his beautiful world solving quite accessible puzzles, activating switches and funky music gizmo. His world is not scary at all – it’s like a whole world of discotheque, with vibrating and pulsating colors, co-squirrels chilling in the pond, and friendly spirits guiding the adventurous protagonist. The design is dazzling and the music is one of the best soundtracks you will have in a mobile game. 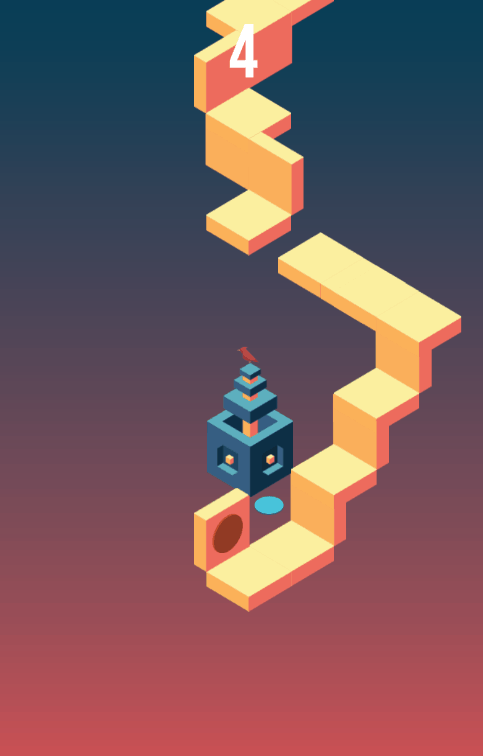 When Skyward first launched, the first thing everyone said was how Monument Valley-ish it looked. And it did. While the looks are reminiscent of MV, the rest is totally different, and if you care for a change of gameplay mechanics and like twitch games, Skyward is a decent endless ascension tapping game where you have to control two dots climbing a tricky bridge that plays games with your spacial skills. Fast, fun and free, Skyward is a good time killer. 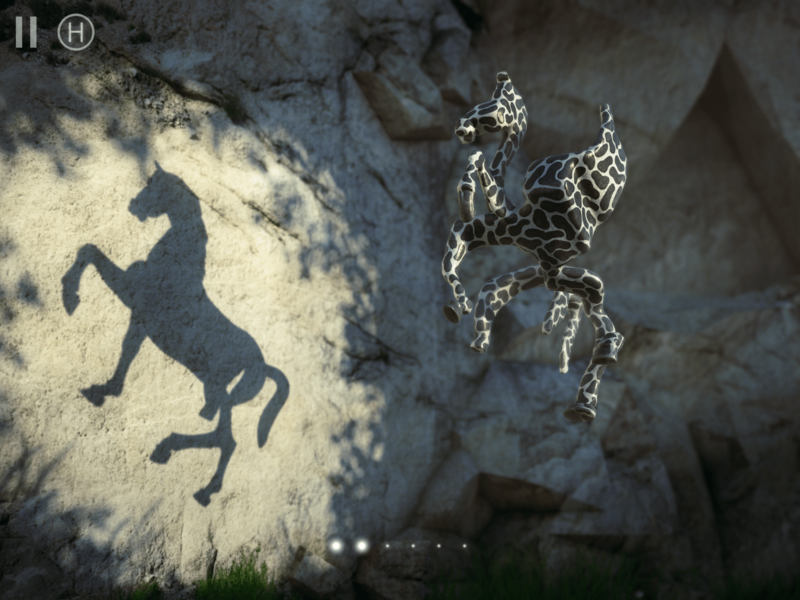 A stunner and a charmer, Shadowmatic is a relaxing, laid-back wellness full of befuddling puzzles and plenty of content for the price. Through a series of rooms, you play with the seemingly abstract objects floating in the air to turn them so their shadow on the wall looks like a real object. It’s a unique idea, a gorgeous design and an atmospheric puzzle wrapped in one of the best iOS games last year. It’s a shame they haven’t ported it to Android, yet. Another audio-visual gem, Superbrothers Sword and Sorcery is not quite a puzzler, nor is its visual style anything like the Esher-esque grandeur of MV, but its ambiance, story and emotional underlying resembles heavily the Monument Valley. An exploration and adventure, with the definite focus on the sacred geometry, S&S takes you on a journey of a lonesome monk on her journey through a mythic realm, solving the mysterious puzzles with her sorcery. Finally, here are a few more suggestions based on the criterion “if you like Monument Valley, you will most likely enjoy…” Here it goes. The Room, The Room Two and The Room Three [Android, iOS] – puzzles, secrets, cryptic challenges and more puzzles. The best puzzles on mobile, mind you. Machinarium [Android, iOS] $3.99 – amazing point-and-click adventure, a benchmark in its niche. Little Inferno [Android, iOS] $4.99 – throw your toys in the fire and play with them as they burn. A pyromaniac idea, but a moving and funny game. Badland [Android, iOS] – still gorgeous, still fun to play, still one of the best mobile games, constantly updated with new awesomeness. Limbo [Android, iOS] $4.99 – a little boy stuck in limbo and giant spiders… Creepy as hell, but if you like it I won’t judge you. 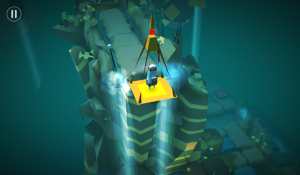 Alto’s Adventure [Android TBR, iOS] – Kolniður and Alto’s Adventure must come to Android, and may the magic fingers of the guys at Noodlecake studios assist the Snowman in this noble task. Framed [Android, iOS] – review. 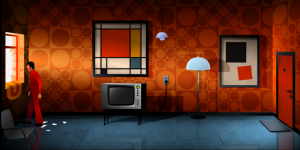 A gorgeous puzzler, Framed features a unique gameplay mechanic that lets you change the outcome if you rearrange the sequence of events. Very stylish. That’s it for today, but if you have more suggestions we would love to hear from you. So, join a conversation in the comments below and share your ideas with us!